The new flagship of Sessa Marine, the Sport Fly 68 feet will be officially unveiled in the coming months. A new yacht concept characterized by a distinctive style, strong personality coming from years of design experience and innovation, and the evolution of the multi-awarded C68 that allowed Sessa Marine to step into big sports yacht segment several seasons ago. 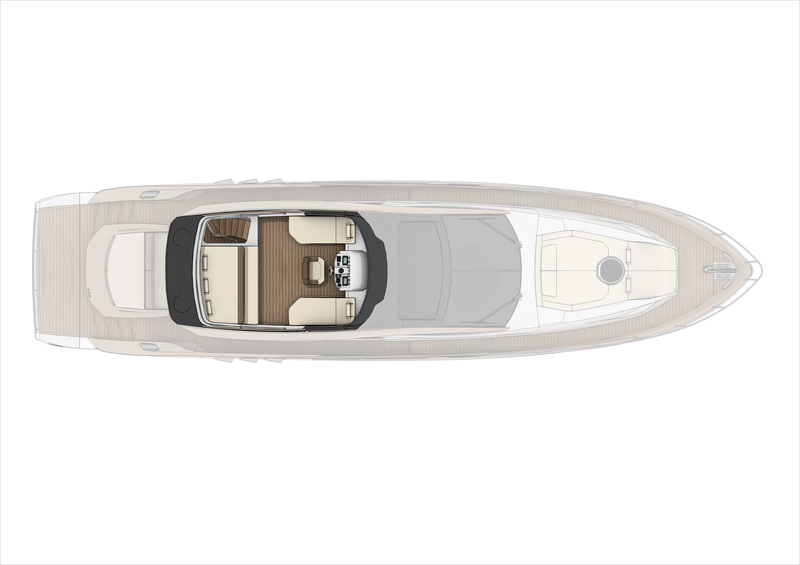 The C68 Sport Fly, boasts the introduction of an upper deck with revolutionary space to fully experience a convivial atmosphere with friends. 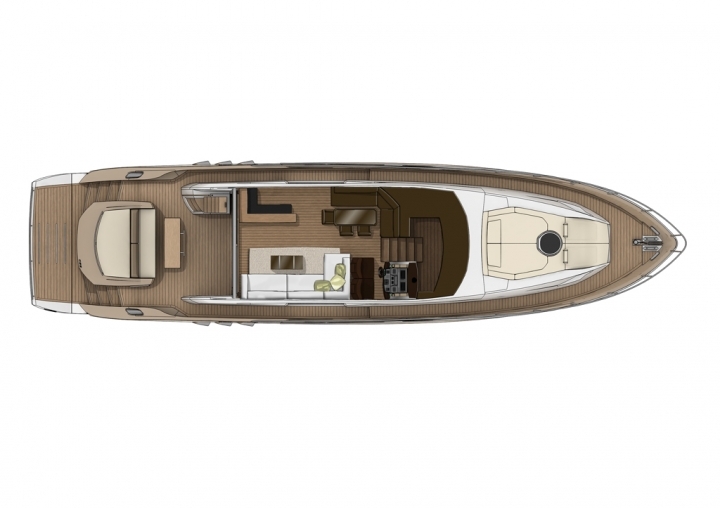 This new vessel, will maintain its sports and captivating line, typical of a 21m open boat and will be characterized by a fully equipped upper deck helm station, surrounded by an original sunbathing area together with its 2 chaise lounges to savor the sea from a wonderful privileged spot. The access to the upper deck, provided by the solid staircase featured by a stainless steel structure and fashionable teak steps, perfectly blends the brand new completely redesigned hard top that always carries Christian Grande’s touch. 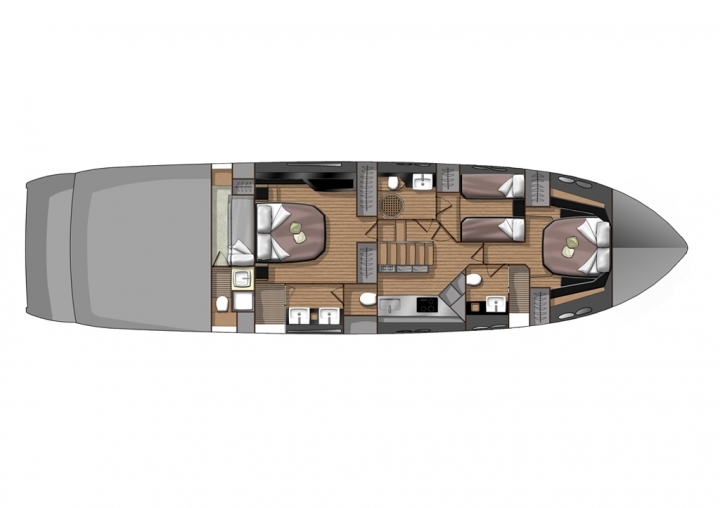 Thanks to C68 Fly’s modern layout and the capacity of the factory to tailor according to customer needs, owners will have the chance to choose between the 3 cabin version, with galley located in the lower deck, and the 4 cabin version with galley in main deck instead. A selection of different fabrics, leathers and accessories will further feature the C68 Fly’s increasing unique appeal. A winning layout, where functionality, conviviality and harmony can find their best expression; the bar corner in the saloon with a modern mirroring TV, the multi-functional luxurious wine cellar strategically located next to the galley, result in practical and increased privacy level for the cook. The impressive dimensions of the master cabin, located mid-ship with a full beam bathroom, provides an incredibly bright source of natural light thanks to the well positioned panoramic privacy glass windows, offering a private view of the sea. These are some of the simplistic features incorporated into the C68 Fly’s design. The C68 Fly is Powered by two Volvo Penta IPS 1200 D13 (HP 1700) engines with IPS propulsion system or two MAN V12 engines (HP2720) with shaft drive propulsion system, the C68 Sport Fly guarantees great performance and a comfortable and safe navigation at cruising speed and flat out. 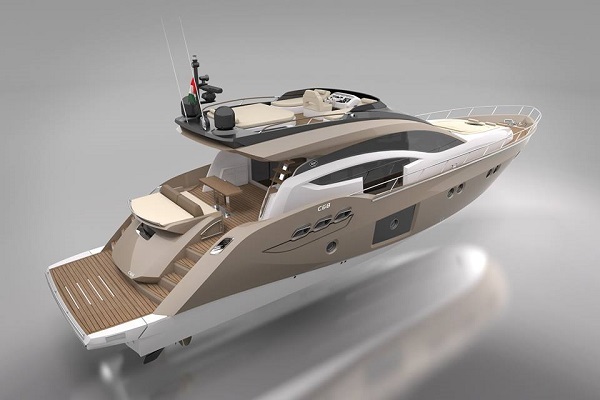 The C68 Fly has been developed in co-operation with Arnaboldi Studio, from Viareggio, a highly experienced naval engineering leading big boat market projects. Sessa Marine has created a design to optimize the hydrodynamic of the hull, which have been tested and studied at the well-known Krylov Shipbuilding Research Institute. 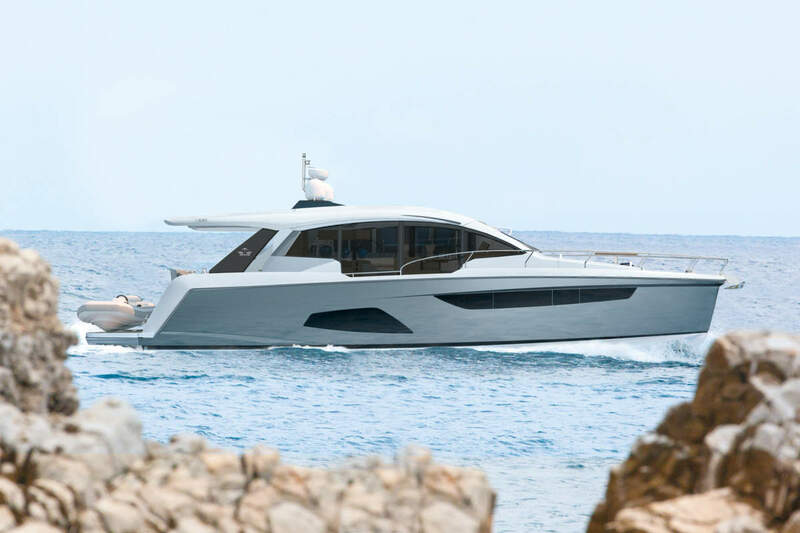 Sessa Marine’s effort has produced a cutting edge hull design, enabling the C68 SF to cruise in any sea at any speed without sacrificing its performance, resulting in the company’s first CE “A” classification. 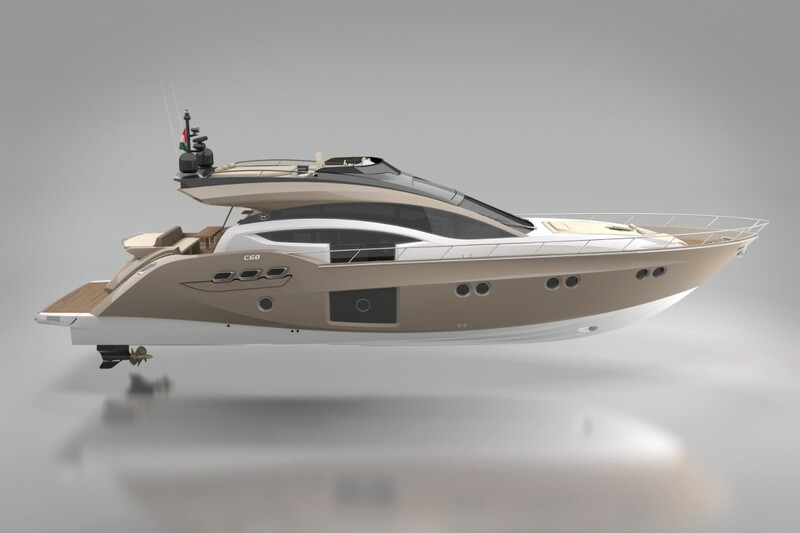 Sessa Marine have pushed the boundaries of their business to produce their Flagship C68 Fly. It firmly places them into a market segment that will challenge and test the model against some very stiff competition.